“Why? Feel like being a martyr? My choice. My consequence. I don’t need your permission to give a damn about you or your family.” He met her stare once more. “I’d be a martyr for you any day of the week! How is it, I have never heard of this author before? That was the first question that came to mind when this book came on my radar. I was intrigued by the blurb, which prompted me to sign up for the book tour. I had no idea what I would be getting myself into but I went in with an open mind. This book delivered all that I was expecting. The story, which is told in the 3rd person alternate POV, started out slow but then by the second half of the book the pace increased. In the first half of the book, the focus of the story was on the lives of Declan and Justice from their childhood to teen years. It dealt with the issues they had faced in the past and the plans they had for the future. This method worked for me, as it allowed me to establish a connection with them. The story was well written, although there were a few editorial issues, which I suspect is due to the fact that this is not the final publication. The second half of the story was quite emotional. The pain, joys, and sorrow that the characters experienced permeated the pages of the book. It was gripping and it held my attention to the very end. Although I was eager to see how the story unfolded, I didn’t want it to end. I just could not get enough of the brooding alpha male and his feisty and independent counterpart. Justice’s childhood was filled with pain and anguish. Abandoned by her mom and abused by her dad. The only comfort she ever had was when she was being raised by her grandparents, but then that came to an end and she was forced to live with her dad who used her for his personal punching bag. Despite the trials she faced from such an early age, she was a fighter. Her actions and attitude demonstrated that even though life may deal us a heavy hand, we can rise above the challenges if we have faith and are willing to fight for what we want. Declan is the type of person who sees everything in black and white. For him, there was no middle ground. He likes challenges and was not afraid to face them head on. He is very protective, especially of Justice and his family. He will fight to protect what is his even if it means sacrificing his freedom. The secondary characters added to the flavour of the story. There were some I loved, for example, Declan’s brothers, and some not so much. I disliked Justice’s father, but the character that really rubbed me the wrong way was Murdock, who happened to be Declan’s nemesis. He is always looking to pick a fight with the Rawlings brothers and he was determined to get his hooks into Justice. I found him to be pathetic and a coward. Declan and Justice loved each other since they were kids, however, they each never knew how the other really felt. As they got older their feelings intensified and it was not until Declan was scheduled to graduate and leave for training camp that they discovered their feelings were reciprocated. At this point, their love got tested from both inside and outside forces. There were times when they both frustrated me with their behaviour, but eventually, they got it right. What I like was that they were not willing to give up on each other no matter what. Their love was the real deal. Based on the way the story ended it evident that there will be a second book. In addition, there were some incidents that needed further clarification. 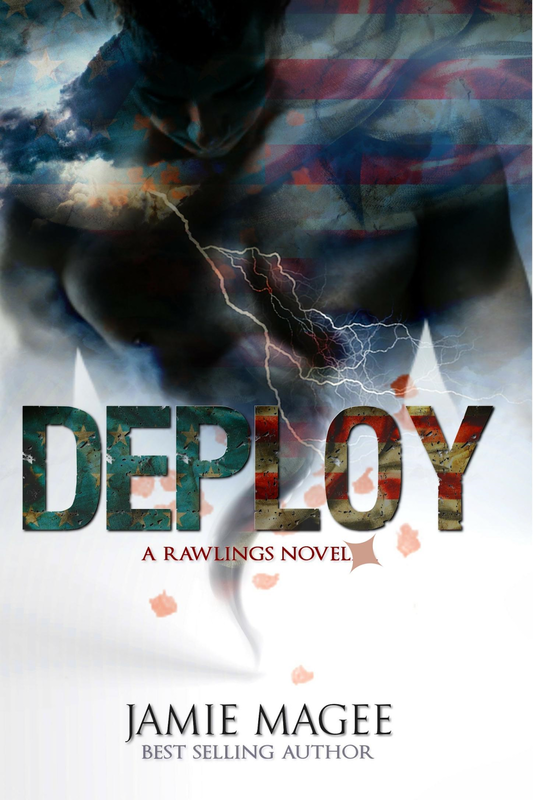 I can’t wait to see what next the author has in store where the Rawlings brothers are concerned. I received a copy via NetGalley. The opinions expressed above are based on my honest view and is in no way influenced by any form of compensation.